Hotspotio has launched an Android app that allows users to easily share their own, or use others’, Internet connection in exchange for public gratitude. 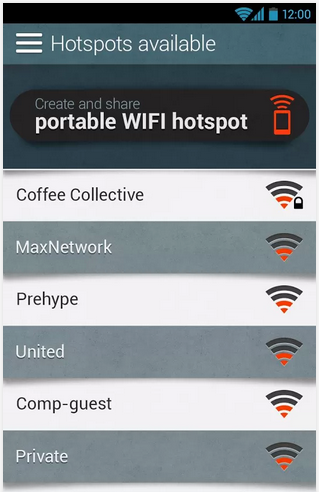 Once installed, you simply need to select which network you’d like to connect to from ones that are available, or can choose to share your own via your mobile device by using it as a WiFi hotspot. Connecting itself is a one-click process that doesn’t require you to enter network keys or other information. Naturally, connecting to random strangers might not be high on your priority list but there’s the option to integrate friends from Twitter or Facebook. In exchange for providing access, your friend can also give you a shout out on Facebook or Twitter to say thanks.